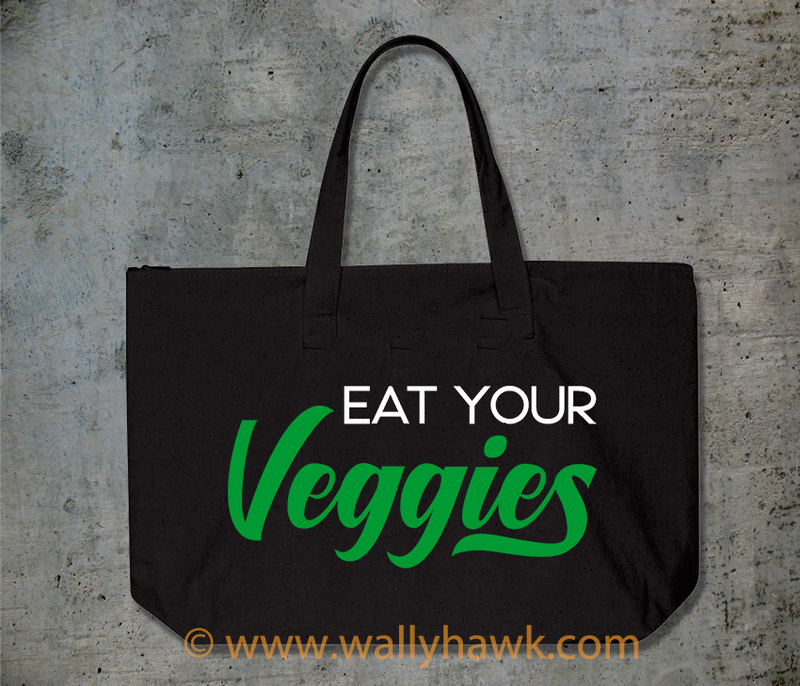 Our Eat Your Veggies Tote is 10oz, 100% cotton canvas. There is a zip top to protect your goods. The bottom measures at 22” x 15” x 5”. The tote is sturdy and easy to clean. 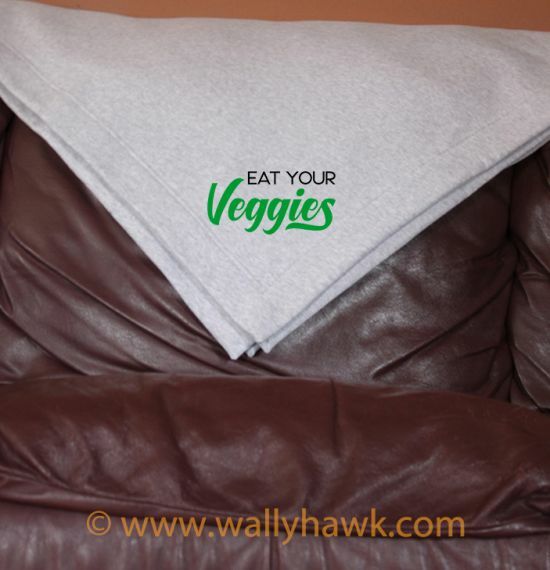 Keep warm with your own healthy lifestyle tote! 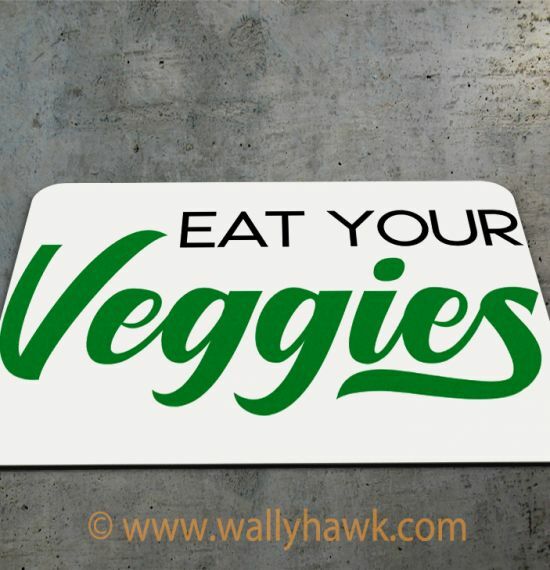 The tote promotes not just the vegan diet but a good tip for healthy eating in general. 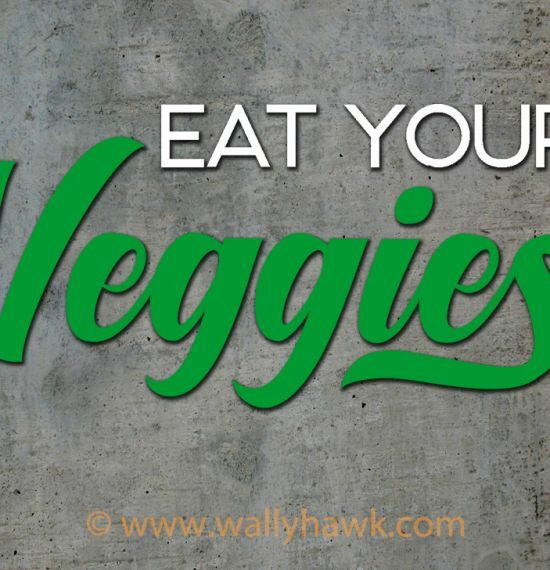 Eat Your Veggies! Here at WallyHawk we’ve been bringing you the very best in pop culture related merchandise for years. We are expanding our offerings and are excited to share parts of our lives with the loyal customers. The vegan lifestyle is healthy and has many benefits. The benefits don’t just benefit the human but many other species as well. We understand vegan isn’t for everybody but we all know someone who made the choice for themselves. 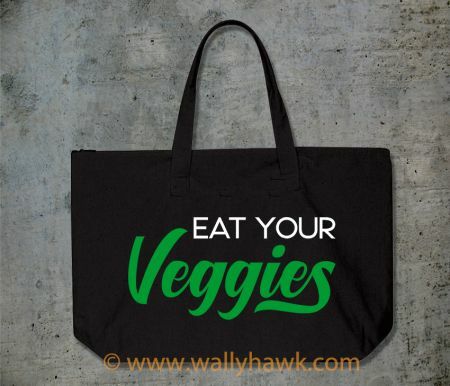 Whether you want to pamper yourself or are looking for a gift for someone you care about this Eat Your Veggies tote is a great product you can use for years. 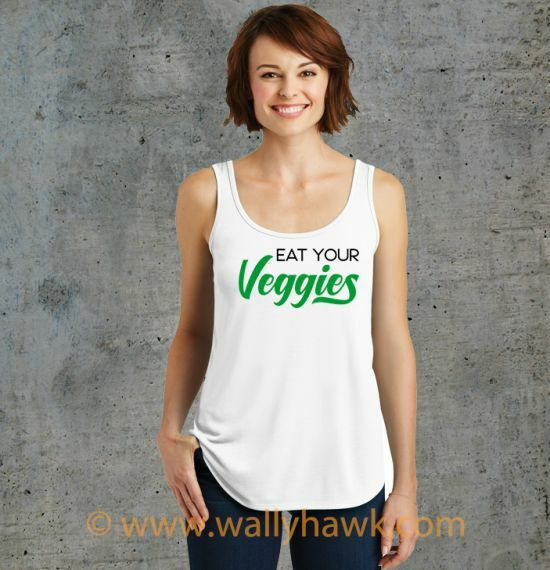 We have more vegan designs in the works as well as designs for healthy living, fitness, and other lifestyles!